Whether you’re searching for the best café in Cartagena in terms of high-quality coffee beans or hip coffee house vibes, read on to find your caffeine fix. The café scene in Colombia is developing fast: today you can drink the best coffee in the world in the country that produces it! 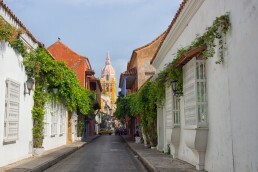 Inside the charming, walled city of Cartagena de Indias lies one of the best cafes in Colombia. While you’re roaming the colorful streets, make sure to take a well-needed break to sip some serious espresso or cold-brew. I’m an irritatingly picky coffee drinker who approves only prime, high-grown specialty coffee beans and prefers to skip the average coffee. So, my praise does not come lightly. 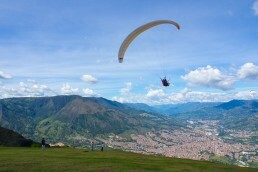 Right after Bogota, Cartagena is among the best places for both taste and buy Colombian coffee. We’ve visited several coffee producing countries, such as Tanzania, Rwanda, and Nicaragua – and I’ve got used to getting just one good cup of coffee (or none) during those trips. Luckily, Colombia turned the tables. I’ve already listed our favorite cafés in Bogota, so now is time to look at the quirky coffee houses of Cartagena! If you take your coffee extremely seriously, there might be only one place that will cater to your specialty coffee needs in Cartagena: Café San Alberto inside the old town. But one perfect little cafe is more than enough! While in Cartagena, we ended up getting our caffeine fix in San Alberto every day. Their take on the art and science of coffee is humbling. The coffee of San Alberto claims to be the most award-winning coffee in Colombia. They call it super-premium: the single origin beans are produced under their 5-step selection process, in the spirit of French wine-making. The coffee beans come from their own Hacienda de San Alberto, located in Buenavista region. The coffee beans meet my strict coffee geek criteria: they’re grown high enough (1500–1800 meters above sea level) and wet-processed. But how does the coffee taste like? Think of dark chocolate and caramel, juicy and balanced acidity. The coffee you can taste in San Alberto Café offers a perfect introduction to Colombian coffee. 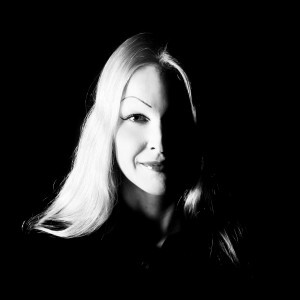 I loved every cup I had in San Alberto: from espresso to cold brew and siphon – and Piritta loved their mochaccinos. Oh yes, they provide all the brewing methods you could think of. Don’t worry, if you’re not a coffee geek, the knowledgeable baristas are happy to explain the different brewing methods if you’d like to taste something else than a cappuccino. 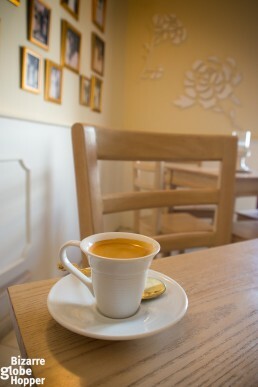 San Alberto offers coffee tasting sessions, as well! The interior is lovely, as well, pouring the story of the coffee with images and fact sheets. The upper floor feels more private than buzzing (and hot!) street level, and the strong wifi might lure you to stay longer than planned. My only regret was that Cartagena was the first stop during our 4-week tour in Colombia, so it made no sense to drag the coffee bags for one month – and the beans wouldn’t have been at their best when we finally returned home. Maybe next time I’ll travel with my beloved AeroPress and Hario Skerton Coffee Mill – I’ve been thinking about it for years since they take such a little room in luggage! San Alberto is, without a doubt, the best place the buy coffee in Cartagena. 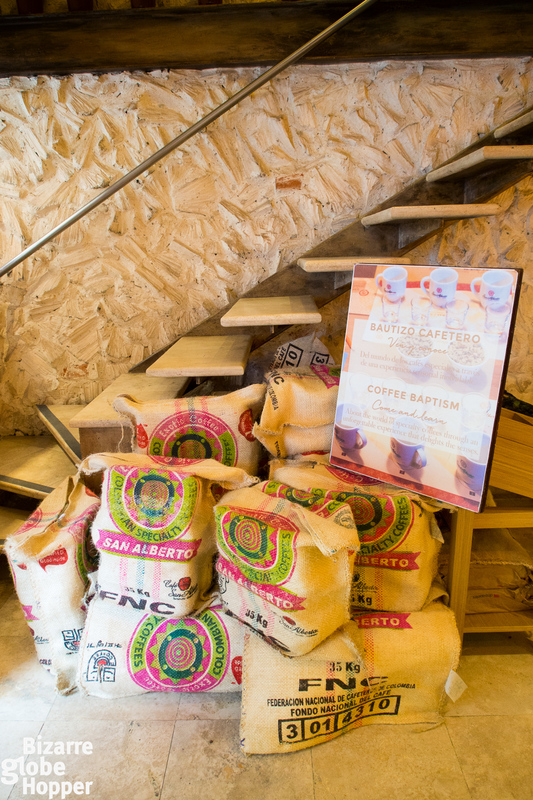 Café San Alberto has catered the coffee aficionados of Cartagena since 2015. You’ll get your fix cheaper elsewhere, but it’s hard to match their standards. 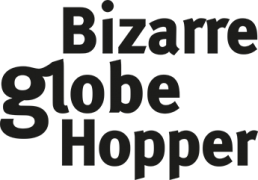 They’re even the exclusive distributor of Hario and Chemex in Colombia. Praise the beans! Not far from Plaza de Bolivar, Época Café quenches your thirst of espresso in the historical center. Época’s own coffee is roasted on the spot, and they sell a variety of beans from bourbon to honey caturra, and gesha. Epoca is all about specialty coffee: I’d say it competes with Café San Alberto about the title of the best specialty coffee shop inside the walled city! Café Época’s signature drink is Carajillo Ahumado (espresso with Aguardiente, sugar cane and cassia) – go for it in the evening, but don’t forget to taste their take on the simple espresso, as well. Roaming the streets of Cartagena in search of the best cafés – can't blame the views! Inside the trendy Getsemani neighborhood (outside walled city) hides another highly praised coffee shop, which takes their beans seriously. I highly recommend tasting their take on the specialty coffee of Colombia, though many tourists seem to prefer San Alberto. In my eyes, Café de Mural appears to have more experimental and underground coffee lab feel. To my regret, they open at 3 PM after which I limit my caffeine intake. Check out their Facebook Page for further info and events. Bizarre facts: Café del Mural uses old machines (like a popcorn maker) to roast coffee and nitro cold brew is frothed at the table! 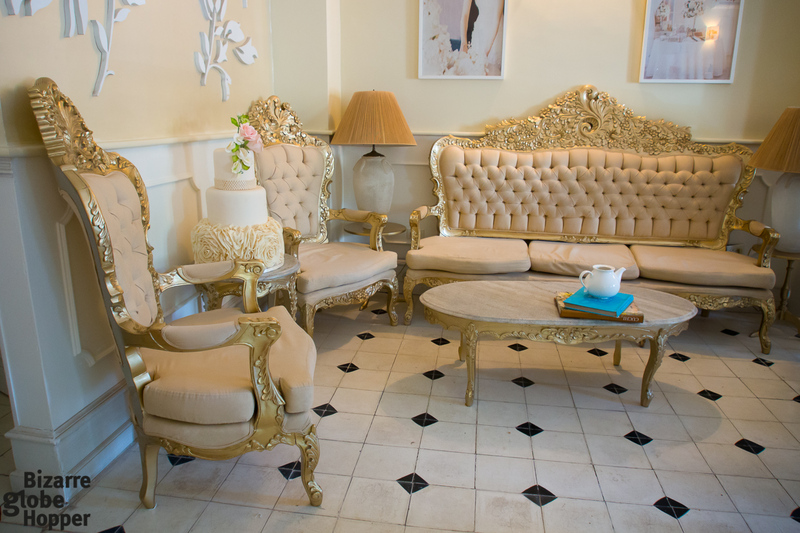 Hidden on the quiet street in Getsemani, Café de Novias is a pleasant spot for a cake. Compared to Café San Alberto or Café del Mural, their coffee is just average, but the cakes and bizarre wedding themed interior make it up. Go for the cakes and wedding planning if you are in the need! 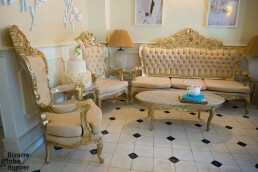 Yes, it’s a wedding planning shop turned into a bakery slash coffee house (novia translates into bride). I might just give Cafe de Las Novias the title “Weirdest Cafe in Cartagena”, but only in the positive sense of it. 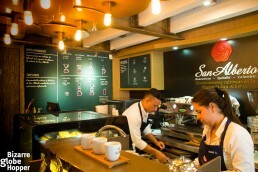 The coffee of San Alberto claims to be the most award-winning coffee in Colombia. Visit this charming bookstore café for the love of books and coffee cocktails: cold brew or espresso-based drinks. Ábaco Café has a lovely, nostalgic atmosphere – who wouldn’t love coffee and books? One more exciting venue to the bucket list, if you love mezcal and coffee. Weird combination to me, but why not! 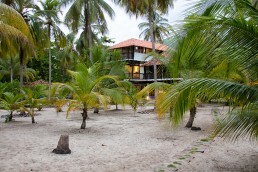 There are several branches on Juan Valdéz Café in Cartagena, like also in other big cities of Colombia. If Juan Valdez Café is on your route, feel free to get your fix. Long story short, Juan Valdéz isn’t my favorite coffee shop, and you can read more my opinions about them in our article on the best cafés of Bogotá. Where to Buy Coffee Beans in Cartagena? My answer is clear: visit both Café San Alberto or Café Epoca (in the old town of Cartagena) and Café del Mural (in Getsemani). If you’re staying long enough or have room in your luggage, taste the coffee from them all! Bigger supermarkets sell coffee, but unfortunately, usually the best beans you can find in markets are from the Colombian coffee giant Juan Valdez Café. Like usually in supermarkets, it’s been a while since the beans were roasted (and ground), so for the best coffee experience, please pick your coffee (beans or ground) from a cafe. As you might have already noticed, the best coffee shops in Cartagena are clustered around the walled city and neighboring Getsemani. 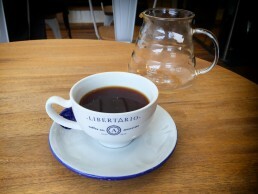 So why not to take an independent coffee tour around Cartagena? Pick your favorites from the list and hit locations into Google Maps, take an afternoon or morning off the usual sightseeing! 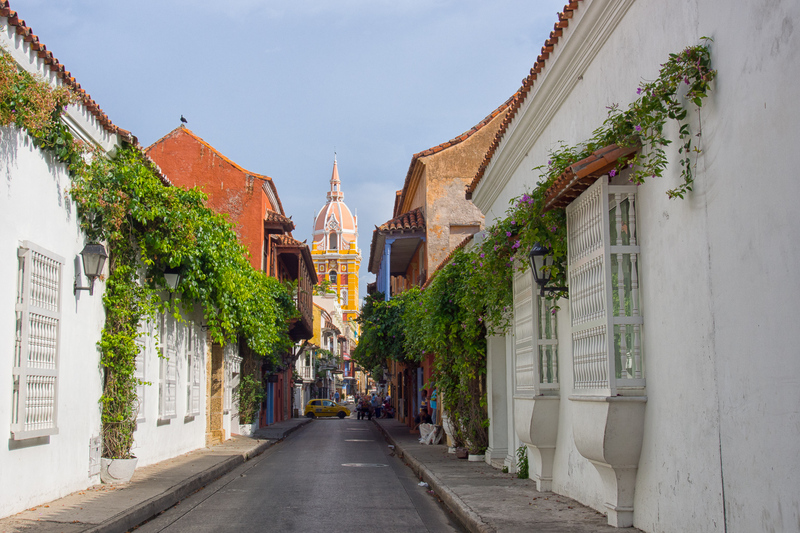 While touring the coffee shops of Cartagena, have your camera at hand, because you will be stumbling upon the carts of fruit vendors, picturesque squares, and other urban scenes. 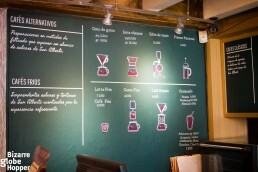 To make it perfect, book a tasting session in either San Alberto Café and/or Café del Mural!  This article was originally written in 2017, but has been thoroughly updated in September 2019. 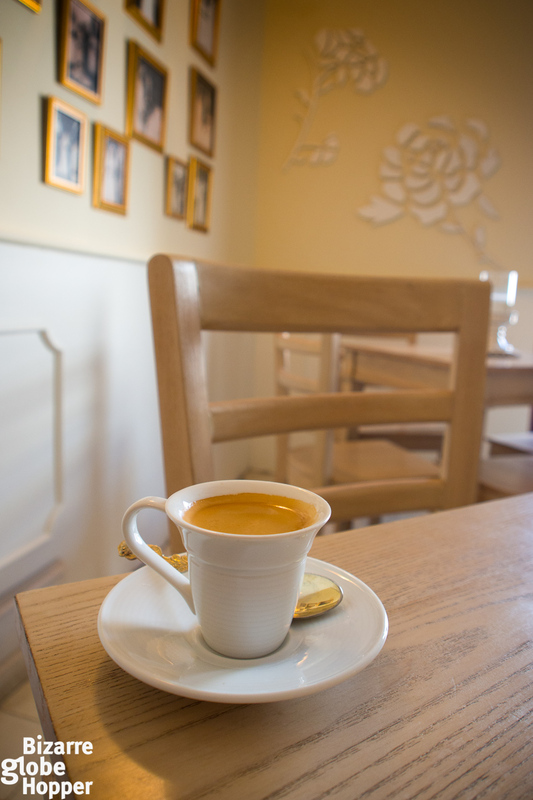 Please let us know if you’d like to suggest more coffee shops on our list. 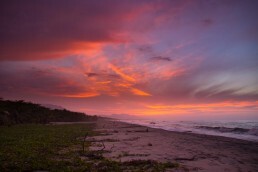 If you’re a fan of Colombian coffee like us, you’ll be spoiled in Cartagena. If you’ve sampled great coffee in any other place inside or outside the walled city, please share with us your favorite cafe in Cartagena! 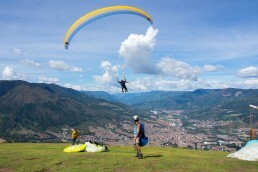 The hipster cafes of Bogotá serve some of the best coffee in the world. 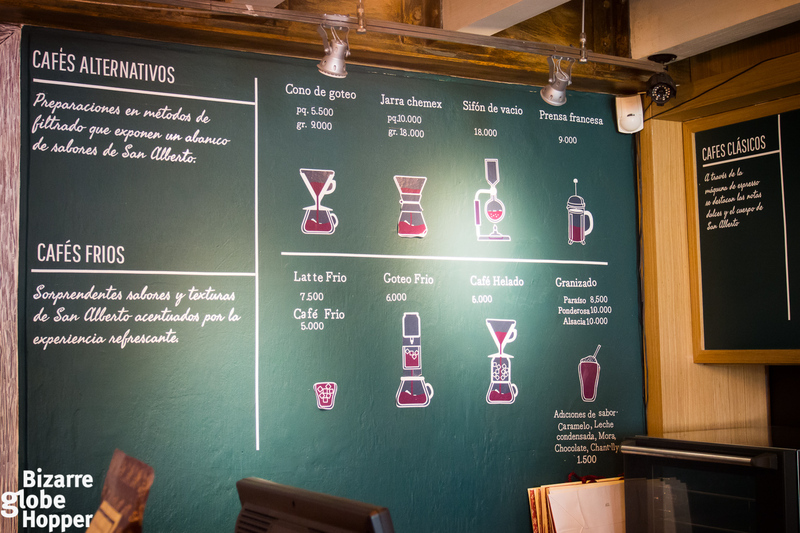 Stop by at one of the cafe gems to sniff out the cool vibes of Bogotá – and pick the best Colombian coffee beans! 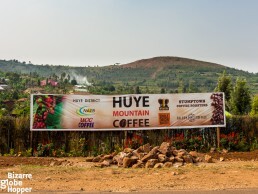 My love for coffee led to a frantic search for the best beans on our drive through the lush hills of Southern Rwanda. When I was with friends in Cartagena I’m pretty sure it was San Alberto that we actually walked into! We tried a bunch of the different brewing methods and we were bouncing about the rest of the day. Possibly best coffee I’ve ever had! I had forgotten its name but as soon as I saw the photo of inside I knew. Thanks for reminding me of my visit. We tried a few of these, but Epoca was our favourite. Their chocolate croissant was to die for, too!